The bold ambition of the project and the involvement of so many parties from across Europe has instigated a model of governance to guarantee the maximum effectiveness and efficiency, as well as to assure the transparency and independence of the group. The structure includes a Steering Committee, a Scientific Committee, a Management Team, and an Ambassadors Network. In addition, a systematic audit of the activities will be undertaken by the relevant bodies of the UCSC. The Steering Committee (SteCo) represents the group of high-level stakeholders and reputed experts, who are responsible for providing guidance on the overall strategic direction. The SteCo is made up of peers, and is the combination of direct and indirect stakeholders. The role of the SteCo is to fix guidelines and objectives and to allocation resources. The Scientific Committee (SciCo) represents the group of scientific experts responsible for providing guidance to the research activity of the technical working groups. The SciCo is responsible for the coordination of the scientific research projects and the supervision of all the scientific documentation. 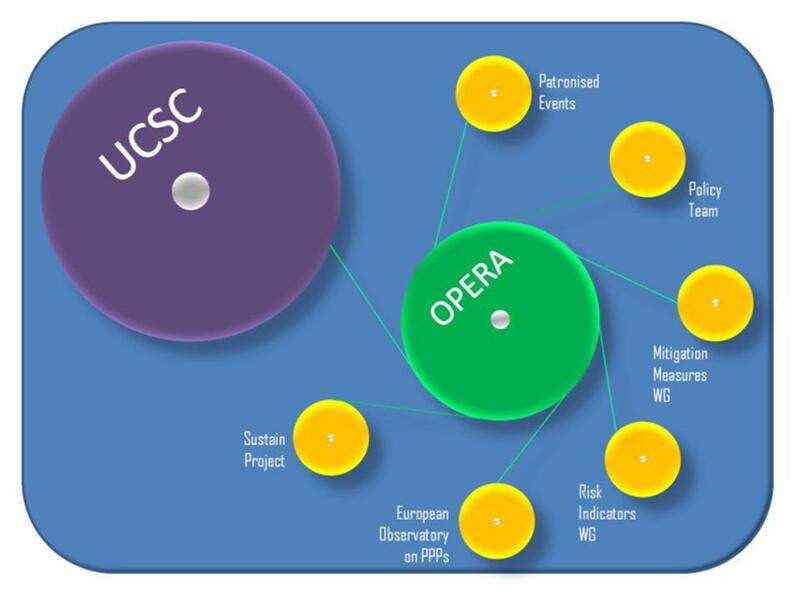 The SciCo role is to guarantee that the research projects are in line with the objectives and the strategy formulated by the Steering Committee, but also to ensure transparency and independence of the research activity. Expert Working Groups (EWGs) will examine the latest state-of-the-art research and developments, as well as proposals for new and innovative ways improve the future effectiveness of agriculture policies across the EU. Members of the EWGs are internationally recognized technical experts, policy makers and professionals from industry and NGOs in the field of agriculture, public health, economics and politics. They will use their individual knowledge and experience to provide technical expertise and strategic guidance to develop this important component of the OPERA activity. Furthermore, at the request of the EWGs, additional experts may be invited to provide specialist testimonies and to discuss specific issues. The final report of the EWGs will be presented to the SciCo and to the SteCo.